Innovation with a Capital I! About KimmiC… it’s no gimmick! Linda Bernardi, author of ‘Provoke: Why the Global Culture of Disruption is the Only Hope for Innovation’, is undoubtably one the most personable provocateurs I’ve ever had the pleasure of speaking with. The fact that she is as inspiring as she is interesting is a bonus. Once I read her insightful and thought provoking book, published in November of 2011, I knew I wanted her to launch the 2012 Season of the Innovation Interview Series. 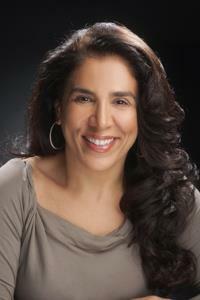 Linda wears an wide variety of hats, she is: CEO of StraTerra Partners, a technology strategy consulting company focussed on new tech adoption; an an early-stage technology Angel Investor in the US, Europe and India; and a board member for several commercial and not-for-profit organizations. Her work with the Bernardi Leadership Institute sees her training in large enterprises and academia as well as engaging entrepreneurs internationally in Innovation Based Leadership™. If that weren’t enough, ConnecTerra, the company she founded in 2001, provides RFID tech to large enterprise IT. All of this underlines that Linda knows what she’s talking about when it comes to ‘Capital I’ Innovation – and yet, as engaging as all of that is, none of it is why I was so determined to interview her for this series. The fact is, with all those feathers in her cap, Linda now also wears the hat of an author, and it is for that reason – once I had read Provoke – that I sought her out. Throughout my reading of ‘Provoke‘, I found myself talking out loud and having a dialogue with the book, “Yeah, that’s right!”… “I know!” … “I’ve thought that for years!” But, to Linda’s credit, I also learned a great deal, and found myself rethinking certain ‘givens’, which perhaps aren’t given any longer. Credit where credit is due – I recommend Provoke to anyone interested in moving the economy, especially the economy of Innovation, forward. Throughout this interview you will find ‘snippets’ from the book. I hope they inspire you to purchase a copy and dive into your place in the ‘Culture of Disruption’ [CofD] that Linda opens to her readers. Added to that, you have made clear that change is inevitably uncomfortable, at least initially, but Innovation is the responsibility of everyone involved in the ecosystem. This ecosystem encompasses entrepreneurs and employees, investors and Board of Directors, even academia and the media and, perhaps most importantly, Consumers – who are the market. As you see it, working together – collaborating – they can create an unstoppable Culture of Disruption. You refer to Collaboration a great deal in Provoke. Why is collaboration so important in the Culture of Disruption? Collaboration has very broad ramifications. Part of what I hope to do with Provoke is explain the different constituents in the ecosystem… and illustrate how things are changing. As things get more democratised and open, by nature they become more collaborative, and this includes decision making… even very fundamental decisions such as strategic acquisitions, product directions and market plans. The process of making these decisions will become much more collaborative within companies. It will also become more collaborative with the consumer – the market component, because the market now has an immediate voice regarding anything that company does. Decisions that used to be non-collaborative, where a company produced something for the market and the market had to take it or leave it, are now commented upon and can be broken, or not, based on the input of the market. Social media enables bi-directional communication. These forces, that we never had in the past, allow uni-directional decision making, development, and communication; it’s becoming very bi-directional and collaborative. For the first time we’re embracing intellectual development on all levels and planning strategic development at a collaborative, global level. We’re respecting, or learning to respect, the power within individuals – whether they’re within a company or collaborating with the company – and the market. In opening up to collaboration in such a social way, things are moving very quickly. Do you see the CofD as evolutionary or revolutionary? Parts of it are evolutionary, because it would be impossible to say that everybody has to stop what they’re doing and completely change tracks. If it’s a big company serving tens of millions of consumers, it’s inconceivable that they’d immediately stop what they’re doing, abandon the past, and develop anew. On the other hand, certain Cultures of Disruption can be revolutionary, because they don’t have a legacy burden or have to service a huge market. To that extent, you see companies like LinkedIn, Facebook and Twitter, new generation companies that can evolve their business model immediately. Because everything is very dynamic, smaller companies have the ability to be much more agile and evolve very rapidly. Added to that, the bigger the company becomes, the less likely they are to reward risk and innovation. Do you think that innovation is always risky? Actually, I don’t think it is at all. Innovation, fundamentally, is looking at something that doesn’t exist, or a new way of doing something… creating some new possibilities. Innovation should be inherent in anything we’re doing. [Unfortunately] bigger companies tend to think they’re not entrepreneurs. Well, anyone and anything they do can be innovative. That is why companies hire them; why companies go to the best universities and hire the best people. They bring them in because they want their talent. Their talent means they have brilliant ways of solving problems. That is innovation! Provoke is trying to break that mould… to say that innovation CAN emanate from within. One of the reasons that I wrote Provoke is to change the lethargic behaviour that we see in big corporations and conglomerates. Most of my clients have one-hundred-and-fifty to two-hundred thousand employees. It is frightening when I enter these companies and see an attitude, which is much more about: “I’m here to do a job and collect a pay check,” versus: “I’m here because I’m super-bright. I’m here because I have enormous talent and enormous capacity.” I think they’re only operating at anywhere between 10 to 15 percent of their intellectual capacity in these types of companies. There are reasons for this. Often there are a lot of barriers – which I talk about in Provoke – that prohibit people from being innovative. After I give a lecture people will approach me and start sharing their stories. They inevitably revolve around not having a supportive manager, having a leadership that’s disconnected, a system that does not reward risk taking or innovative thinking, and failed systems of capturing innovation from within. Think about it; if you have one-hundred thousand employees… if one percent of those people – just one thousand people – were to have one idea a year… that’s one thousand ideas per year! Yet if you look at the amount of innovation that’s actually captured within companies, it’s maybe three to four ideas per year. To me, as an ex-CEO, it’s as if these company leaders are willing to bypass their most incredible source of innovation. Often they think, “Maybe I need to make an acquisition to do an innovation.” A lot of times the Innovation acquisitions that are made could have been accomplished within companies, but employees within the company were never consulted. Imagine their motivation level. The level of inspiration drops proportionally the less people are involved in innovation. We have to disrupt this model, cultivate and inspire talent, and bring creative thinking out. Currently I believe this is incredibly dormant, both within the US as well as globally. Instead, it’s the big company model that prevails, on in which, for some reason, expressiveness and innovation go unrewarded and are even discouraged. You must meet, at least initially, a great deal of scepticism in these larger corporations. Well, scepticism is a lot easier than innovation, isn’t it? In fact, in the five stages of dealing with disruption, scepticism is one of the first stages. When cloud computing came out, it was very easy for people to be sceptical: “It’s not going to work. I’m not going to use it as my corporate enterprise system. It’s going to fail. Nobody is going to want it. There are security issues.” The list went on and on. When Apple disrupted the music industry and brought out the iPod, it was an incredible revolution, it redefined the entire possibility landscape, it redefined distribution of music. And then it came up with the iPhone and redefined telcos. And when Apple redefined the iPad the sceptics said: “No one is going to walk around with an iPad, and an iPhone, and a MacBook.” And what do you think are the most three prevalent devices at any meeting I go to? Those exact three devices! Then the sceptics said: “Nobody is going to abandon their iPhone just to get a new iPhone,” yet everybody does. I’m so glad you brought up this question because there is so much scepticism and misunderstanding around innovation. Innovation – or disruption – doesn’t mean just coming up with a flaky idea, going off and doing something new without considering what the ramifications are. Innovation (whether it’s by a small, medium or large company or an individual) looks at the possibility of developing something that doesn’t exist, or expanding on something that exists, and disrupting the model. Try something that seems crazy. I think there are very few companies that are willing to take the broad risk of blatantly innovating in the face of scepticism, while understanding the heightened level of gratification they have to give to the consumer. Speaking of the consumer, do you see a widening or lessening of the generation gap – between those of a ‘certain’ generation and those part of what you deem Generation I (the Generation of Innovation)? I’m delighted by how intelligent the consumer is. Something magnificent is happening today, the like of which we’ve never seen before. When the first personal computers came out people that were over a certain age, who had never dealt with a computer, never learned. There was a very distinct gap. Somehow, in the last five to ten years, with the help of social media, that gap is being bridged to the point where grandparents are revelling in the use of Skype… they know how to use their iPhones. They feel a part of it. And that’s fantastic! A nine-month-old can take an iPad and play a game. Of course there is a broad range of technical capabilities, but the generational gap is becoming less and less relevant. In my view, it’s because innovation is becoming more practical and end-user-oriented. We’re developing things with the idea that the mass of people should be able to use them; things are becoming simpler to consume. With computers in the past, the art lay in buying the computer, loading the operating system, figuring out what program to buy, going through the heroic task of installing it and figuring out how to use it. Only a very small percentage of the population could actually do that. It’s very different today with the ‘www.anything/anytime’ model, which allows anyone access to anything. The art is the use rather than the technical prowess to be ‘able’ to use; and that has really diminished the generational gap. Unfortunately I think a great many technologists miss the fact that, regardless of how ‘smart’ their technology is, if people aren’t using it, it just won’t matter. Exactly. If we ask the question, “what makes certain innovation distinct?” it is when you develop something that people use. In Provoke I discuss each of the constituents within the ecosystem of disruption, which is the enabling body of the Culture of Disruption. These include the leadership, the board, the investor and the employee. I then talk about the market and its power, because it’s the market that is totally redefining advertising and marketing. The market has a tremendous impact. Look at what happened at Netflix within span of few days. The company came up with a new business plan, people revolted and called it back. Imagine if we could have done that ten years ago with hybrid cars. When Innovation becomes practical and usable, it redefines everything. And the beauty of it is that, sooner or later, change is inevitable. The sooner you embrace the disruption the better. If you don’t believe in disruption, you’re fundamentally saying that you believe in nothing changing… companies that think like that are the companies that become extinct. The business equivalent of the dodo bird. That leads into my next question: is ego bad for innovation? As a consumer I have a great amount of ego because I feel, more and more, that I can have an effect – especially if I group together with other consumers. From my perspective as an innovator, I realise that if we (KimmiC) didn’t have ego, perhaps we wouldn’t be as audacious as we are in deciding that we can change the world. On the other hand, perhaps part of the reason that people and companies feel they don’t need to change is the ego they have invested in their current offerings. It’s a very important question. If we were to define ego, I think competence, belief, passion and drive are necessary attributes… they’re critical for any of us to do anything significant. If you didn’t have those you wouldn’t be able to do what you believe you can do. You wouldn’t have the passion or the drive to do it; or the fundamental belief, as an entrepreneur, that: “I know this is risky but I really believe in the fundamental outcome. I’m going to do it and very little is going to stop me if anything”. On the other hand there is the misplaced ego, which is ego by virtue of what you’ve been in the past, or what you think you are, or what you think you have to be. That’s wrong because that completely stifles growth. Those are the companies (or individuals) that are not innovating, because they believe that if they shatter that ego, everything will fall apart. At the same time there are some entrepreneurs that can be unfoundedly egotistical. They believe they know all the answers just because they’ve been successful in the past. These are the entrepreneurs that believe they’re going to take their social media company public and, suddenly, it’s going to be worth hundreds of billions of dollars. Those that wear their Google Goggles proudly! Yeah. Or because they’re 20 years old, they got their Ph.D. at MIT and somebody told them they’re super-bright. They have expectations, at the age of 23, that they are going to be multi-millionaires on their yacht. Silicon Valley, while it’s been enormous in bringing us tremendous innovation, is also the breeding ground for unfounded ego, both in entrepreneurs, corporations and investors. There are venture capitalists there that believe that, in some sense, they’re God! One of the things that inspires me about Asia (and some of the other continents) is that they are where Silicon Valley was about 20 years ago. There’s passion and hunger, but there’s also an incessant energy and drive. It’s extremely difficult to balance that with unfounded ego. Talking about Asia brings me back to thinking about scepticism. I believe, and I think from reading Provoke and speaking to you that you probably have a similar view, that woe betide those who are sceptical of what is going on in Asia. Right. One things that got me really worried and started me thinking about writing Provoke was a December 2010, CNN round table of six CEO’s from major companies in Silicon Valley – we’ll leave them unnamed. For an hour they were being spoke about the prowess of the U.S. versus the global market, and how the U.S. would never lose in the innovation game. Clearly, they all have operations in various countries outside the U.S. and they definitely, as executives travel there, but the answers they rendered really left me baffled. In my role as an investor in companies across the globe, I get a unique opportunity to look at entrepreneurism in various countries at a fundamental level. For instance, in India there were about 5,100 business plans submitted [to us] last year. We’re expecting this year to top 7,000. China, South America, Europe… Talent is everywhere. Genius is everywhere. So to think that it’s going to be in one place is a very dangerous game. Everything is available everywhere. So, for companies and the leadership of those companies to sit there and say things like: “We are going to be the leader. Nobody can catch up with us,” really showed enormous blindness. It could be posited that the current state of the U.S. economy is, at least partially, reflective of that blindness. Absolutely. Innovation is collaborative. Right now, just within my client list, there are three to four million employees. That’s a lot of people. Just within that group of people, if I can start the process of active thinking and processing, just awakening people to the power that they have, and get them to believe in it… To believe that an entrepreneur is just somebody that thinks creatively; that they can be, and are, an entrepreneur in what they do. If the system around them is not designed to listen to them, they should create a system that is. If enough people think like that… well, how could the leadership of a company resist 50,000 people wanting to express themselves. What are they going to do? Lay them all off… because they’re thinking creatively? Disruption is simply another way to look at something. Imagine if we’d never experimented… because that by default means disruption. We would have never had any discovery. That’s the power of the ‘what if’ culture. That’s what engineering and science is, it’s about experimentation. Disruption doesn’t mean disrupting the business, it just means opening up the business to new opportunities. You mention in Provoke that you’d like an opportunity to rebuild the entire business school paradigm. How would you change it? I can actually answer that question with a very concrete answer. I taught a number of classes last year at the University of Washington, in their MBA program. It went so well that they’ve now offered me a lecturer position and, starting at end of January, Provoke will be used as a textbook. It was very interesting to go into a program that’s well-established. It’s very methodical, like every other MBA program, and I taught it completely differently. I wanted my audience to participate with me, I wanted the students to think. I made them very uncomfortable because I told them I didn’t think they were thinking enough. At one point I turned around and said I found it completely boring being with them. This is the first step. We’re going to incorporate it with formal teaching and, over the course of the year, I hope to expand it to other universities and other business programs. I really think that business programs have to be completely disrupted and revamped for the new world that we’re entering. 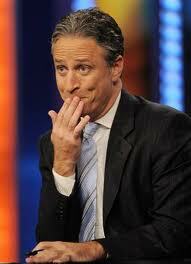 In Provoke you mention your respect for (The Daily Show’s) Jon Stewart. What is it about Jon that moved you to mention him in particular? In addition to being a comedian, Jon played a very important role during a very difficult previous [Bush, Cheney] administration. His was probably the most unbiased and candid voice talking about what was going on in the administration, in congress, in politics in general. Part of the comedy passport that he has allows him to bring things to the foreground and talk about them both in a way that audience connect with. He is able to make light of very complex things which, frankly, need to be made light of. It’s ironic, but though he’s a comedian, he’s one of the cleanest source of political news. That frankness is also needed in discussions about business, Innovation and the Culture of Disruption. He’s very much a provocateur, as are you. Like Jon, you don’t seem to have any reticence in voicing your opinion, nor qualms about how you may be perceived in doing this. That is not necessarily a position that a lot of women are comfortable taking. I would say that, as we enter 2012, it’s really disturbing to me how few women do what I do. When I look at technical conferences, and go through the list of keynote speakers, there are no women. We’re 50% of the workforce, yet we’re not there. When I sit around an investment table, I don’t have women investors with me. When I’m on a board of directors, I don’t have women with me. It’s disturbing to me that in a course of decades, instead of this becoming a non-issue, in fact it’s a real issue in that, women are still uncomfortable taking centre stage. I’d like to have a lot more women doing what you’re doing – asking tough questions, putting themselves on the map. But generally women lack a desire for risk. Women dislike failure and want to play it safe – for a lot of historical reasons – yet women have enormous power. I’m hoping that, as the world becomes more and more collaborative, more and more women will come to centre stage. 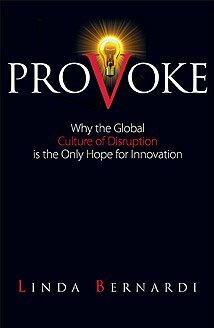 How will you measure the success of Provoke in the Culture of Disruption? I really believe in the power of the people and I want Provoke to have a role in it. So, if you ask me: “What would be a measure of success for me in a year?” it is how many people I might have touched with Provoke. How might I have helped them change their thinking around the inevitability of disruption and their positive role in the Culture of Disruption. To me, those would be incredible success factors. If I can just provoke people to think differently, the mathematical combination of possibilities grows infinitely. I’m very pleased to see companies – some as large as federal agencies – saying: “You know what? We need to bring in innovative thinking.” In fact, they’re replacing my “Culture of Disruption” with “Culture of Innovation.” They’re saying: “You need to help us create our Culture of Innovation.” Right there, suddenly there’s a positive translation of my dream. The “Culture of Disruption” has now been translated into the “Culture of Innovation,” or, as you call it, the “Capital I”… which is huge! Linda is giving a free gift of the first chapter of the Provoke eBook, along with a Culture of Disruption membership card, to any readers of this Innovation Interview who sign up for her monthly ‘Innovation Excellence’ newsletter by clicking this link!! 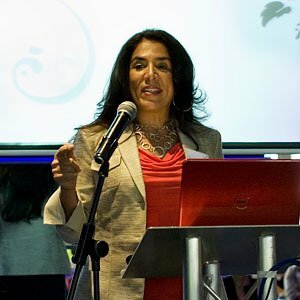 You can find out more about Linda, Provoke and the Culture of Disruption on her website and blog. You can also connect with Linda on Twitter, Facebook and LinkedIn. That's our definition. What's yours? Check out my about.me page! Speaking to the Future: What Got Caught in the Safer Internet?